The Bruce Museum began Phase I of the renovation and expansion plan on October 8, 2018. 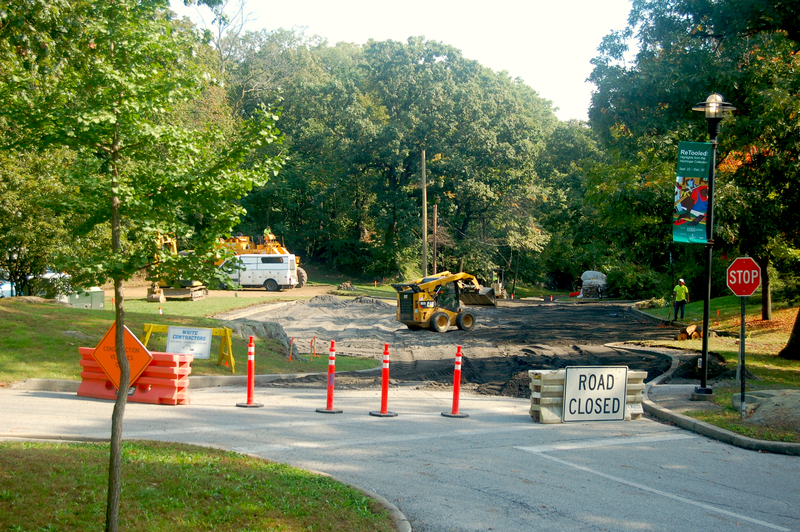 The project involves improvements to the grounds and parking lot and is expected to be completed by late November. While the parking-lot construction is under way, the Museum will remain open as regularly scheduled, though on-site parking will be limited. Handicap Parking is available opposite the entrance. Additional parking is available at the Island Beach parking lot at Arch Street and along Museum Drive and Steamboat Road; daily fees may apply. The meters on Museum Drive and Steamboat Road require quarters for payment. The parking-lot improvements are a preliminary step toward the transformative $60 million capital campaign for the “New Bruce.” This unprecedented initiative will double the size of the existing Museum, add state-of-the-art exhibition, education and community spaces and dramatically enhance the art and science collections. The campaign includes $45 million for design and construction and, to ensure sustainability, $15 million of added support to the Museum’s Endowment. To learn more about the Campaign for the New Bruce, please contact Suzanne Lio, Managing Director, at 203-413-6766 or slio@brucemuseum.org.